Is it the Nest Stream device's log you're referring to? Mine seems relatively tame, with 2 Nest Thermostats. Just trying to provide some additional user data to aid in the troubleshooting. 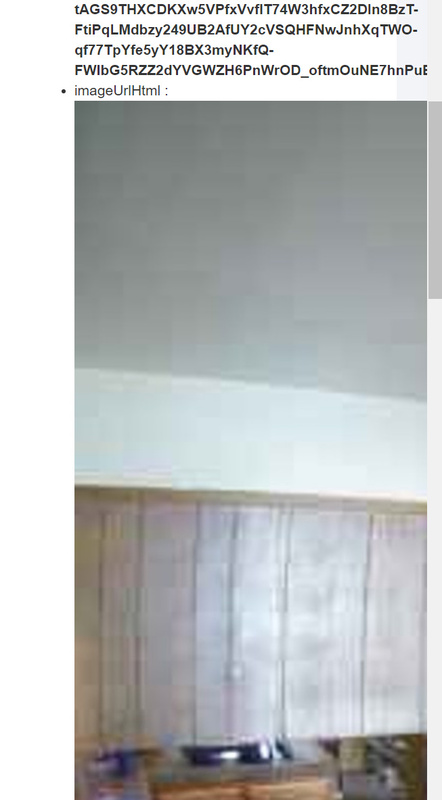 Yes, that's exactly what mine is looking like when just the thermostat is integrated, but once I add a camera it increases in frequency regardless of if the camera is streaming. Is the 'motion' status for the driver working? Even when there is movement clearly shown on the Nest Cam, and video was captured, the motion continues to show inactive. Was reading around and apparently motion is only triggered after an event, which is not ideal. Also reading in other threads that a plugin for the NST Manager can enable real time motion detection. Anybody with any success on getting motion detected in real time on HE? "Oops! We encountered an error. Please try again." Has anyone else seen this error? Is it something on my end? I've tried again a few times using different browsers. I have confirmed that I can sign in to my account fine from the nest.com site directly. I'm having the same issue, does someone know what causes this? At this point we are capped at how many users can use the integration until Nest reviews the integration. Unfortunately, Nest has some maintenance going on and is not reviewing integrations until September. Will update when we know more. Any chance @tonesto7 would consider porting his ST app for Nest over to HE? That thing was truly amazing. There is a basic Nest app that was in use before the official integration. I wrote a very basic Nest app and thermostat device handler this weekend. 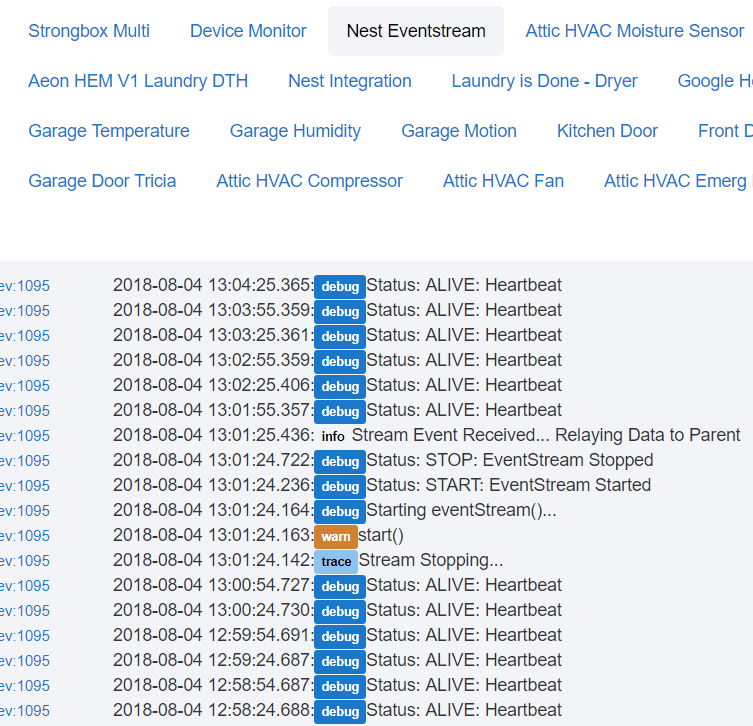 It’s not NST Manager, but it at least lets Hubitat see the state of the Nest and adjust temperature setpoints. The basic app is good, @tonesto7 app was great. Thanks for the suggestion @Christopher, but I will have to wait. I only have Nest Protects, no thermostat. Same error... Looking forward to integrate my Nest camera and Nest Protect. Any hopes of the new Nest remote temp sensors being added to the integration? Looking to buy some Nest smoke detectors for my new home. 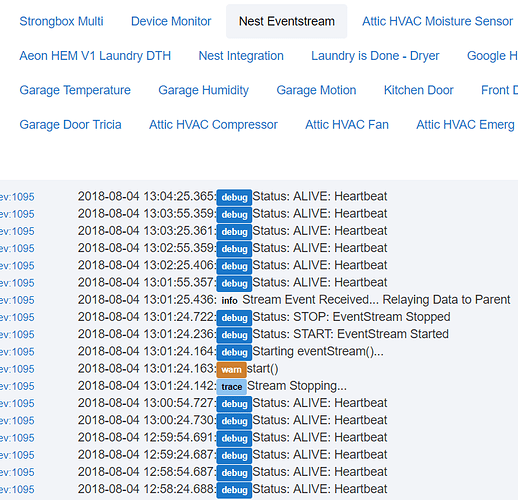 Does Nest report the values of all the sensors to Hubitat or only some are supported atm? P.S - Is it possible to use Nest to make announcements? If not, is there a possibility of implementing this in future? The Nest Protects report all of their data to Hubitat. 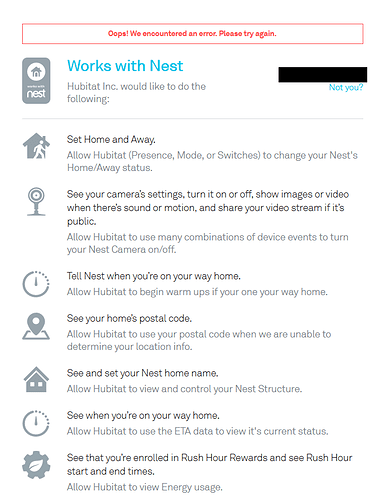 Nest reports the following values to your HE. Note that motion is not one of them. That's good to know. Do they not allow motion or is it due to technical reasons? Also, are there any plans to implement 'send announcements to Nest' if it is possible? Hey guys. The nest integration has been working great for me with my one camera. I have small request though. 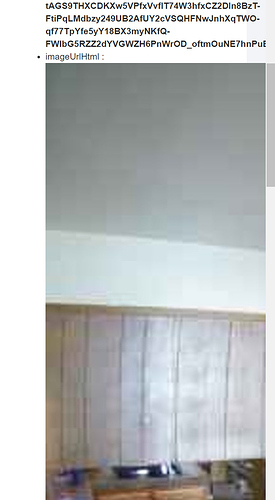 Is there anyway to change the resolution / size of the image url so that we can actually see the whole image on the device page? Or maybe add it as state variable so it can take advatage of the extra real estate on the screen?